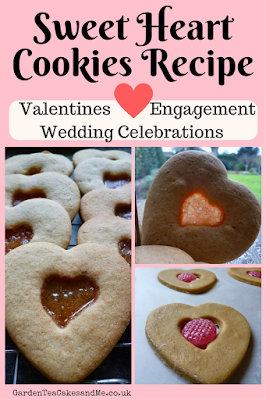 A home baked Valentine's Day biscuit to share with family, friends or a loved one. This heart shaped biscuit recipe is easy to make and children will love adding a boiled sweet and seeing its transformation into a stained glass window. This recipe made a lovely biscuit dough that was soft yet firm and rolled out easy without being too sticky. Beat together the sugar and butter using an electric whisk, until creamed and soft. Add the egg and whisk together. Add in the flour, baking powder, mixed spice, salt and finally the vanilla extract. Using a wooden spoon mix together until you have a firm but slightly soft biscuit dough. Turn the dough out onto a floured surface and using a rolling pin roll out until the dough is half an inch thick. Cut out your heart shaped biscuit and place onto the lined baking sheet. Using the smaller cutter cut out your centre heart and place a boiled sweet into the space. Bake for 17 minutes. Leave to cool on the tray for 10 minutes before peeling them of the parchment paper (the melted boiled sweet will be very hot) and placing them to finish cooling on a wire rack. Best eaten within a few days, store in an air tight container. I have adapted this recipe from the BBC Food recipes site. 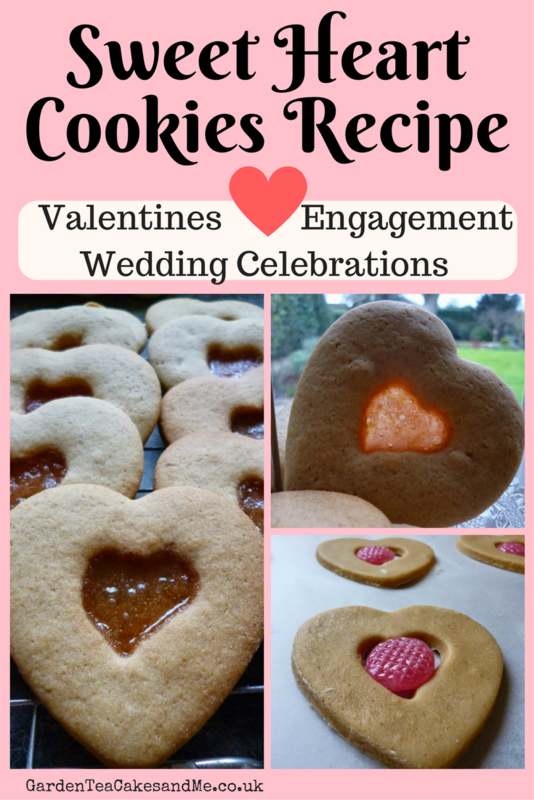 I am linking up with February's Treat Petite at The Baking Explorer aptly called Love is in the air, co hosted by Cakeyboi. Also joining in with #cookblogshare at Supergolden Bakes. This is quite cool. I shall give it a try! Very clever technique and a great effect! Thank you for entering into Treat Petite! Perfect biscuits for Valentine's day. I like the idea of adding a boiled sweet in the centre of the biscuit. I tried stained glass biscuits once, but I burnt the sweet! I don't know what happened :( I'll try this recipe next time, thank you! I would never of thought to use boiled sweets in baking! I don't bake often enough. Excellent idea!